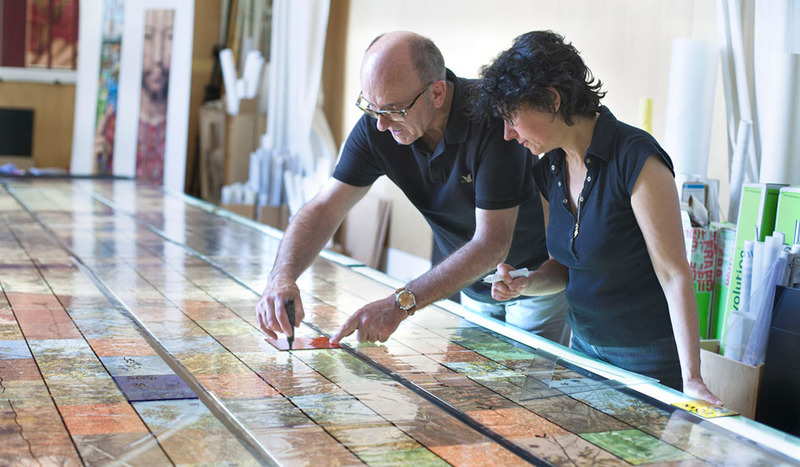 For the Millennium of Strasbourg Cathedral, new stained glass windows designed by the artist Véronique Ellena with the master glassmaker Pierre-Alain Parot were officially unveiled during the Heritage Days in September 2015. Saint-Gobain printed the designs on glass for the 40 panels in two bays. 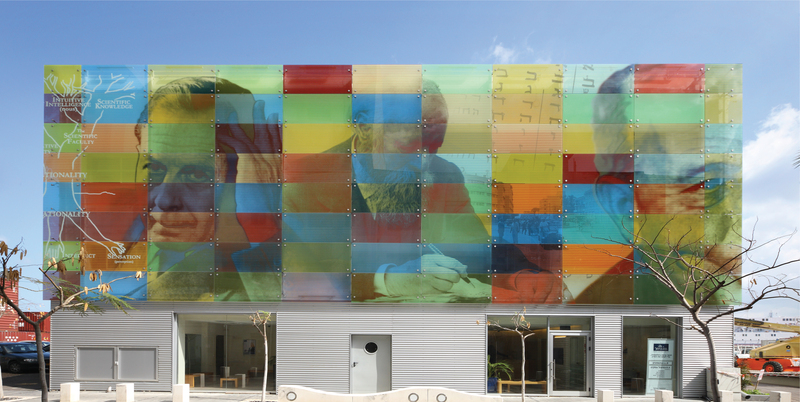 The 7.8 meter high photomontage designed by Véronique Ellena and Pierre-Alain Parot was printed on glass slab at Glassolutions Deggendorf using the PICTUREit technology. Then, La Verrerie de Saint-Just supplied blown glass for the second skin that magnifies this first stage. Installed alongside 14th century stained glass windows, this innovative work is an ode to nature and humanity. We appreciated the quality of the printed glass and the cooperation with the Saint-Gobain team, able to adapt an industrial process to our artistic need. Seeking additional depth of color for the Strasbourg Cathedral project, the solution of a double skin in traditional stained glass was invented in the master glassmaker’s workshop. Find out more about CREA-LITE, a heat-forming technique for glass. The PICTUREit solution used for the Strasbourg Cathedral stained glass windows is a process for digitally printing enamels on glass followed by high-temperature annealing. This technique enables patterns, photos and text to be applied permanently and indelibly to all types of stained glass windows. It was used for the first time in a listed building, in June 2013, when Saint-Étienne Cathedral in Cahors (France) unveiled its stained glass windows by the artist Gérard Collin-Thiébaut. They were manufactured by the Glassolutions site in Deggendorf (Germany) in association with the Parot workshop. This collaboration was renewed for Saint-Gatien Cathedral in Tours (France) in 2014: Glassolutions France produced 300 square meters of contemporary stained glass windows using CREA-LITE COLOR, another solution for printing on glass. CREA-LITE involves forming clear or tinted glass. The first step uses a photo or digital file to create a mold etched with a personalized relief. The glass is then placed in the mold and raised to a high temperature. The thermoforming takes place gradually: the glass forms to the shape of the 3D relief mold under the effect of gravity. The mold is then tempered. CREA-LITE can be colored using a glass printing technique: colored powders are deposited on the surface and vitrified during the firing cycle.